Warthan Dermatology Center (McKinney) - Book Appointment Online! Located in McKinney, Texas, the Warthan Dermatology Center delivers comprehensive surgical, medical, and cosmetic skin services to patients of all ages in an attentive, friendly, and comfortable environment. The practice includes board certified dermatopathologist, dermatologists, and a highly trained support staff. 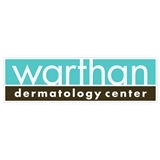 The Warthan Dermatology center provides a wide range of treatments including Mohs Micrographic Surgery, CoolSculpting, microdermabrasion, Melange chemical peel, IPL photofacial, and laser procedures for spider veins, sun spots, tattoo removal, and skin tightening. Patient comfort and education is the goal at the Warthan Dermatology Center. As a result, doctors spend time with their patients laying out individualized treatment plans, explaining their options, and discussing any questions or concerns they might have. I got lost on the way there and was 10 minutes late for my appointment. The lady at the front desk was very nice and accommodating. I was seen as soon as I finished my paperwork. Dr. Mandy was very sweet and explained how my condition may or may not improve during my pregnancy but she would give it a try. I was in and out quickly and scheduled a follow up in three weeks.